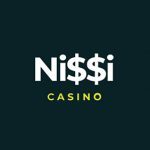 Nissi online casino was launched earlier this year. It is rapidly making a name for itself in this fast paced, competitive industry. The casino brings all of the fun and excitement of a brick and mortar casino visit conveniently into your home. 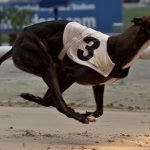 Players can try out their luck at any of the over 3000 games that are currently in house. The management of the casino has been adding more and more games since it opened last spring. It has been receiving positive reviews from their customers who are pleased with the wide variety of gaming options they have at Nissi. The gaming entity operates out of Australia. 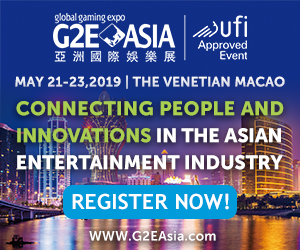 The innovative new casino is partnering with some of the best known casino game distributors. Nissi Casino has recently added the Endorphina brand games to the their casino offerings. All of their existing games are state of the art and technologically advanced. 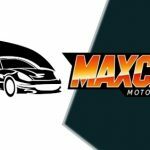 Now with the partnering of two such forward moving companies, the new games are expected to add even more excitement and challenge to the gaming experience. The high quality software and easy system integration provides a seamless gaming experience. Slot machines are complete with flashing lights and colorful screens. There are loud bells ringing and plenty of background casino noises that add to the fun and entertainment. 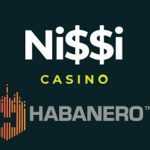 New members have been registering daily at Nissi Casino. Signing up for member play in the casino is easy to do. A new account can be set up in a couple of quick steps. Signing up is completely free of charge. Once an account is set up, you can check out the casino, the lobby, and all of the action. When you’re ready to start playing, the customer need only add money or Bitcoins to their casino account. All of this can be done on a laptop, desktop, or a tablet. If at any time a brand new customer or an existing player has questions, they can access the casino live chat. There are more exciting casino games than ever before since they have added the Endorphina games. The company is a leading provider of casino gaming solutions, and they offer a wide variety of unique and imaginative themes. 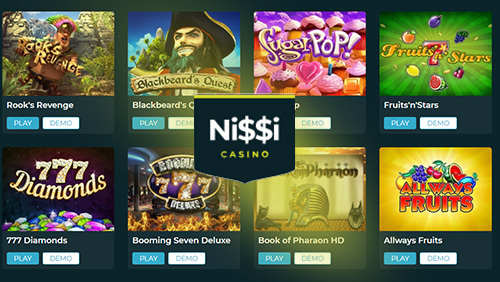 There are a host of new slot machines in Nissi Casino for video poker, sports betting, and multi reel bonus games. Players also enjoy the bingo games and tournaments that are regularly featured. Additionally, the online casino has all of the popular table games. Players can enjoy their choice of roulette, blackjack, and more. 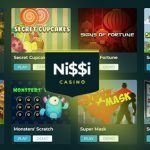 Nissi Casino frequently runs special online gaming events and offers bonus rewards for their customers. Sign up bonuses are also regularly offered to new players.